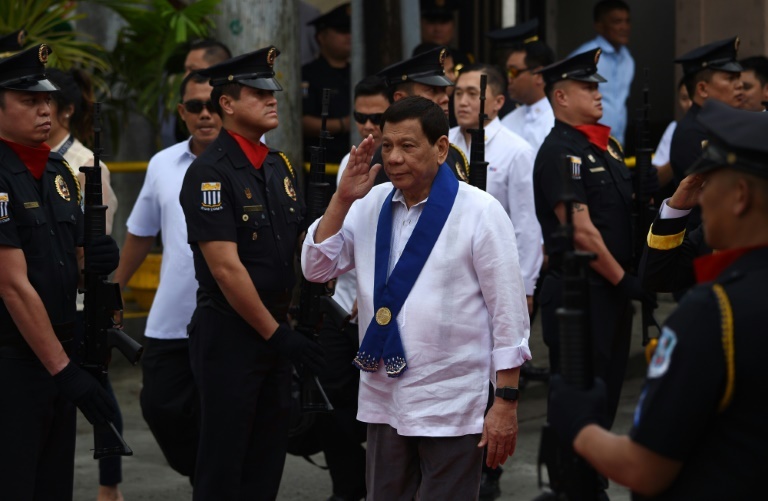 Rights groups raised fears Wednesday after Philippine President Rodrigo Duterte announced plans to create a “death squad” targeting suspected communist rebels, saying it would worsen the “calamity” triggered by his deadly drug war. The Philippines’ 50-year fight against communist militants, one of Asia’s oldest insurgencies, long pre-dates his anti-narcotics crackdown that has killed thousands and drawn international censure. Duterte, like previous governments, initially held peace talks with the communists but shelved negotiations last year over deadly attacks against soldiers and police. “What I lack is my own sparrow. That is where they (communists) have an edge… So I will create my own sparrow, Duterte Death Squad against the sparrow,” the president said. “I will match their talent also for assassinating people,” he added. Since negotiations with the rebels broke down, Duterte also formally designated the Communist Party of the Philippines and its 3,800-member armed wing the New People’s Army (NPA) as terrorist organizations. The low-level, simmering insurgency has claimed 30,000 lives by the government’s count. The founder of the Communist Party, Jose Maria Sison, said on Wednesday that “sparrow units” only existed in the 1970s and 1980s at the height of the insurgency. “He is inventing so many sparrow units to justify his own death squads which are illegal,” Sison told ABS-CBN television. The president’s announcement drew immediate concerns from campaigners, who said the death squad would worsen the already lethal environment encouraged by the drug war. Police say they have killed nearly 5,000 alleged users and pushers, while rights groups say the toll is at least triple that and could amount to crimes against humanity. “His (Duterte’s) statement is a declaration of open season against rebels, leftists, civilians, and critics of the government,” Human Rights Watch said in a statement. Amnesty International also expressed alarm, citing the practice of labeling government critics as communist rebels or sympathizers. “What is scary is that anyone can be a target,” the group’s human rights officer Wilnor Papa told AFP.